Oh, the nuances of the “free market” economy… and the convoluted principles of economics. One of the fundamental rules of free market economy is the law of supply and demand. If there is a high demand for a product then the price of that product rises as the supply is depleted, artificially or otherwise. 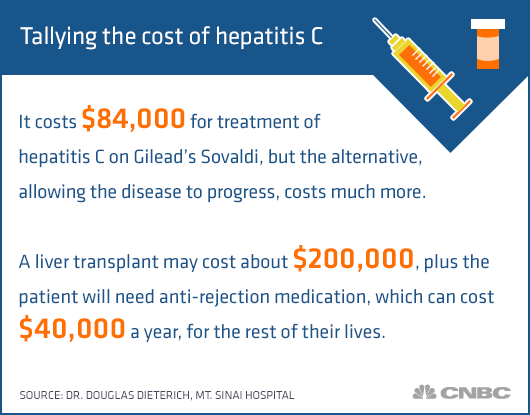 The funny thing is: the Indian market of hepatitis C patients is very large so why is the price of the drug plunging there, and is much cheaper by 99.57% than in the United States? “Outsiders don’t want their daughters to marry any local boys, according to the village elders swapping stories in a tailor’s shop behind the Sikh temple, because most residents are infected with black jaundice. That’s what they call hepatitis C, which is so common in parts of India’s Punjab state that the tailor-shop gossips might not be off base in their estimate. But prevalence could be something of an advantage these days. 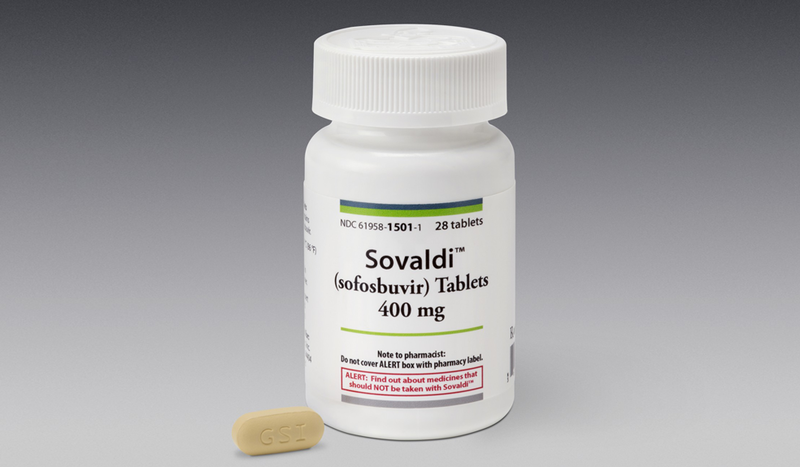 Drugmakers have made the village of Lande Rode one of the theaters in a battle to grab market share for sofosbuvir, a miracle cure that Gilead Sciences Inc. sells in the U.S. as Sovaldi at a retail price of $1,000 a pill. Gilead licensed 11 Indian companies to make generic versions, and they sealed marketing deals with others. Competition has been so fierce it’s driven down the cost and spurred thousands to be tested. Is it really about the size of disposable incomes? Or, is it about the drugmakers clout on the government? India has been running after healthcare malpractices for years. In fact, it has filed charges against Nestle for putting lead into Maggi recently. US lawmakers, on the other hand, are trying to blackmail public schools with threats of defunding if their schoolchildren are not properly vaccinated. And this is not just about selling drugs and making a huge profit. It’s about keeping the next generations docile and malleable. All in all, Gerberding has repeatedly demonstrated that safety is nowhere on her list of priorities or concerns when it comes to vaccines. It’s easy to see why Merck would want her to head up their vaccine unit. For the rest of us, however, her blatant disregard for proven vaccine safety is bad news indeed. Another former government official who’s switched sides is Elias Zerhouni, former director of the National Institutes of Health (NIH)—one of the world’s foremost medical research centers, and an agency of the US Department of Health and Human Services. Zerhouni is now head of Sanofi-Aventis’ research labs4. He also is a professor at Johns Hopkins School of Medicine; a member of the Board of Trustees at the Mayo Clinic; and is a senior fellow for the Bill & Melinda Gates Foundation’s Global Health Program5. As pointed out in a recent article by Forbes Magazine6, Zerhouni is no stranger to controversies over conflicts-of-interest. In the fall of 2003, the NIH with Zerhouni at its head faced grave accusations when it came to light that hundreds of its scientists had financial ties to the medical and pharmaceutical industries. According to a 2004 article in the NIH Record7, over 100 scientists did not get approval for their industry activities, even though the rules were so loose virtually all requests to conduct outside work were approved by the agency, without any limits on compensation or hours worked for outside entities. He doesn’t think it was well appreciated outside of NIH that the agency “has a dual nature — number one, we are a granting agency, but number two, we are also one of the most advanced, most capable biomedical research institutions in the world. When it comes to medicine, mere disclosure of conflict of interest is not nearly enough. Patients need unbiased advice when it comes to making decisions that can impact their very life, and physicians and scientists with financial ties to the drug industry should not be allowed to participate in broad policy and public-health recommendations in the first place. Likewise, while it’s perfectly legal to engage the revolving door and switch jobs from government agencies to private industry and vice-versa, this practice has become so widespread it has undermined the entire system of checks and balances. There are countless others—so many, in fact, I’m sure you could fill an entire book with examples. These types of blatant conflicts should simply not be tolerated, but they most certainly are. For now the majority still does not understand the pharmaceutical industry’s power and influence over government, and the field of conventional medicine itself, but the tide is beginning to turn, and will continue to do so as more and more people get informed. “Burgermeister presents evidence of acts of bioterrorism that is in violation of U.S. law by a group operating within the U.S. under the direction of international bankers who control the Federal Reserve, as well as WHO, UN and NATO. This bioterrorism is for the purpose of carrying out a mass genocide against the U.S. population by use of a genetically engineered flu pandemic virus with the intent of causing death. This group has annexed high government offices in the U.S.
Here’s how Gilead Sciences and the media are selling the drug in the United States… So clever how these poison peddlers use fear to entice you to open your bank book. In short, while they are killing us deliberately, they are also profiting hugely from our controlled demise. In our case, we have taken a proactive approach. We have completely abandoned all drugs and haven’t gone to the drugstore for the last 7 years, or so, even if drugs are cheaper here than in the US. 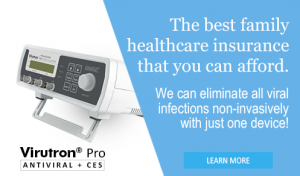 … and the best part is that the whole system is a lot cheaper than one pill of Sovaldi! Realizing that a low-voltage electric current can kill every parasite known and unknown including but not limited to, bacteria, viruses and fungus, in its proximity, for what do we need chemical drugs for? Clearly, the emergence of drug resistant superbugs should render the mainstream medicine obsolete.